We will be doing our Show & Sell at the Giant Store at Rivanna Ridge (above Pantops) again this year. Your participation is totally optional; however, “Show & Sell” has the potential to generate a lot of sales where you do not have to deliver the product and collect money. 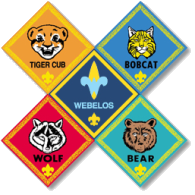 If you have questions, email me at pack10va@gmail.com.